Australia, besides being one of the wealthiest countries in the world, is also a place which is known best for its ever-increasing work opportunities. 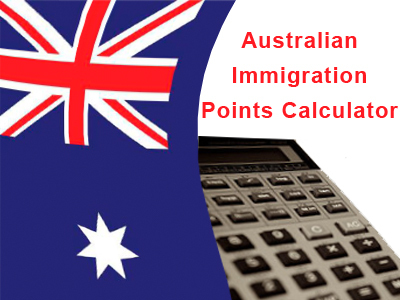 The range of immigration programs has made immigration to Australia very easy for students as well as for skilled workers. No matter whichever program you choose to immigrate under, it is mandatory for you to go through some customary questionnaire under an immigration point’s calculator. Scoring good marks on the calculator is easy, provided that you meet all the standard norms relating to your age, qualification, language skills, occupation and previous work experience (if any). Your occupation must be listed under SOL: The Skilled Occupation list is the classification under which all the accepted jobs in Australia are listed. If you hold a good work experience in a respective job and the job does not relate to the SOL norms, then there are no chances of you being eligible to apply for a permanent residency under the skilled category. On the contrary, if it is listed in the SOL, your work experience will be no less than an icing on the cake. Depending upon the level of your education; doctorate or bachelors, you will score 20 or 15 points respectively. Likewise, the more years of work experience you carry, the higher points you will gain on the calculator. Make sure it is not late: Your age may be a hindrance if you are under 18 or over 50 when applying for skilled migration visa for Australia. 18-24 years, you will get 25 points. 25-32 years, you will gain the highest score, i.e. 30 points. 33-39 years, you will get 25 points. 40-44 years, you will be able to score 15 points. 45-49 years, you will be eligible but will not get any points. You should be proficient in the English language: Getting a good score in any authorized English language assessment test (e.g. IELTS) is mandatory for you to be in the role. For applying for the trade occupations, one must score at least 5 in all the four levels of the IELTS exam, whereas he must get a score of 6 if he is applying for any other occupations. Extra points make your process smoother: The calculator benefits you with additional points if you have skill assessment scores from any authorized and recognized organization, your partner’s skills relate to the norms for the skilled migration program visa or an Australian degree or diploma certification in any regional course.